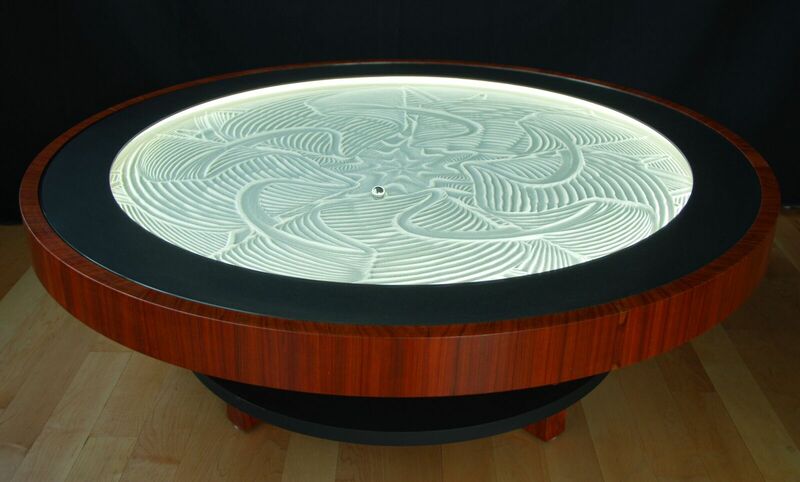 MINNEAPOLIS - Operated by a two-motor robot (the "Sisbot"), Sisyphus' new kinetic table draws complex designs in sand beneath a glass top. 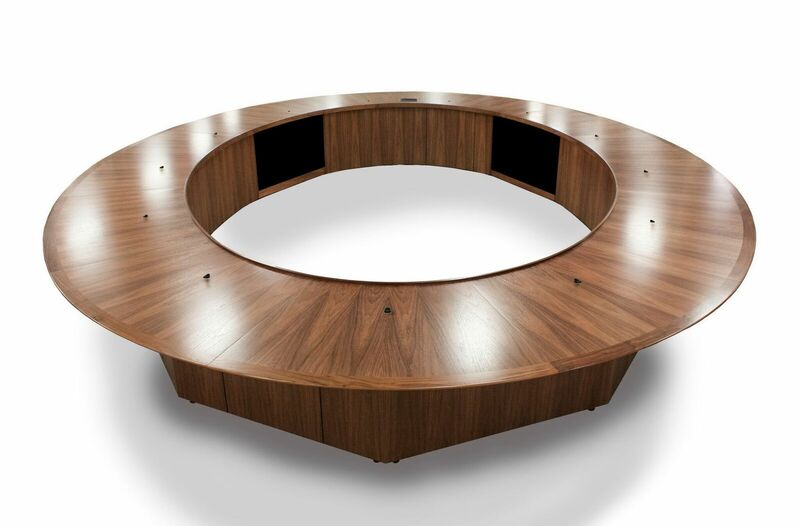 Offered in both coffee table and end table versions, the kinetic table can either be made of hardwood maple, padauk, or walnut, or of metal with birch, maple, cherry, and walnut veneer options. 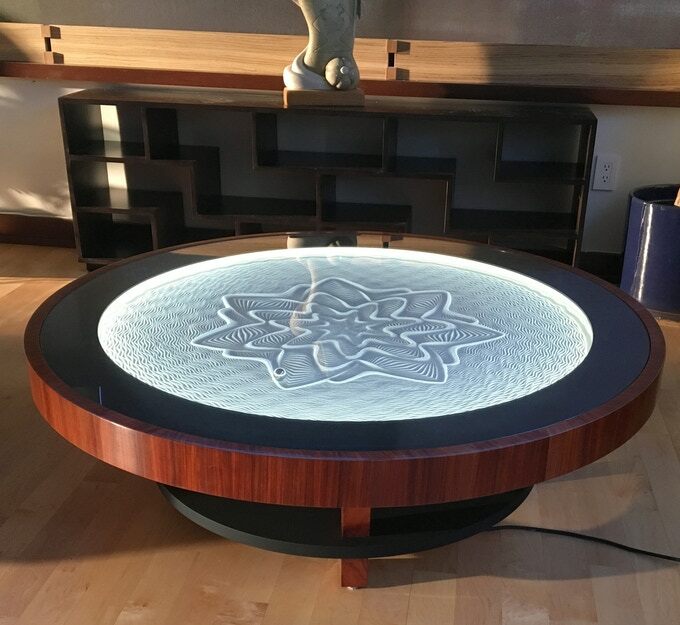 The end table is 22 inches tall with a two-foot diameter, and the coffee table can either be three feet or four feet tall - both with an 18-inch diameter. 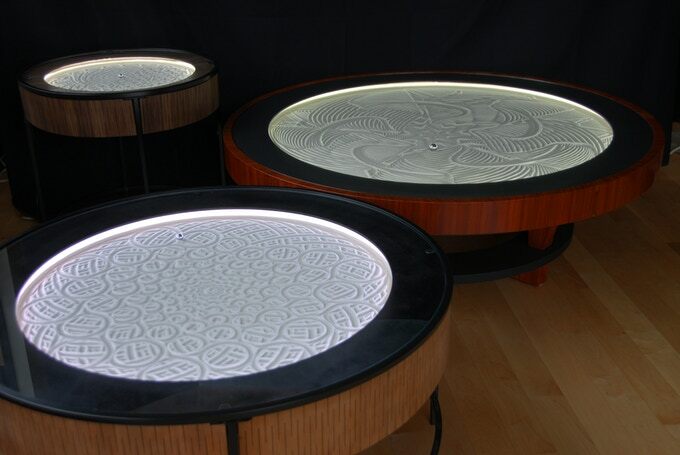 "What you see is a fully functional table with a thin layer of sand under its glass top," the company says on its Kickstarter page, which blew through its initial goal of $50,000, breaking the crowdfunding site’s art category record by raising nearly $2 million in 30 days. Under the table, the two-motored Sisbot moves a magnet which pulls a steel ball through the sand. The motors are controlled by a small Raspberry Pi computer which plays a set of path files, much like a music player plays an mp3 file. Sisyphus has no on/off switch; you simply plug it in and it automatically calibrates itself, loads a default playlist of paths, and begins playing. You can control playback – choosing favorite tracks or playlists – speed of play, and table-lighting from a mobile app or by using any browser to connect to Sisyphus with WiFi. The company was overwhelmed by high demand, and quickly needed larger-scale manufacturing to deliver more than 1,500 kinetic art tables to its global Kickstarter backers into 2018. The company applied for, and was awarded, a Proto Labs Cool Idea! Award grant, which will help Sisyphus scale up production as it moves to a larger facility this year. The team plans to produce 200-300 tables per month as they fulfill Kickstarter orders. They will also begin to accept a new round of pre-orders as demand continues to grow. “We were blown away by the reception that we received during our Kickstarter campaign,” said Micah Roth, chief operating officer at Sisyphus Industries. 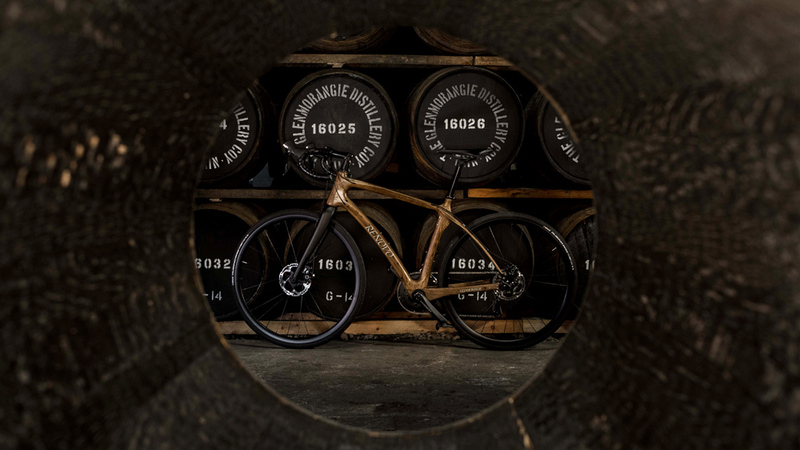 “As we started to increase our quantity, it became apparent that more efficient manufacturing processes were needed." The hardwood coffee table features an ApplePly base and choice of maple, walnut, or padauk hardwood - all CNC-machined and hand-finished.